noticeable cinnamon aroma, and the sweet after taste lasts long. Tastes mellow and thick, smooth and sweet with strong flower and fruit flavor, noticeable cinnamon aroma, and the sweet after taste lasts long. The combination of flower and fruit flavor and cinnamon aroma is the perfect embodiment of softness and strength. Rou Gui, meaning Cinnamon in English, is made with leaves picked from tea plants grown along the Wuyi Mountains in Fujian Province. 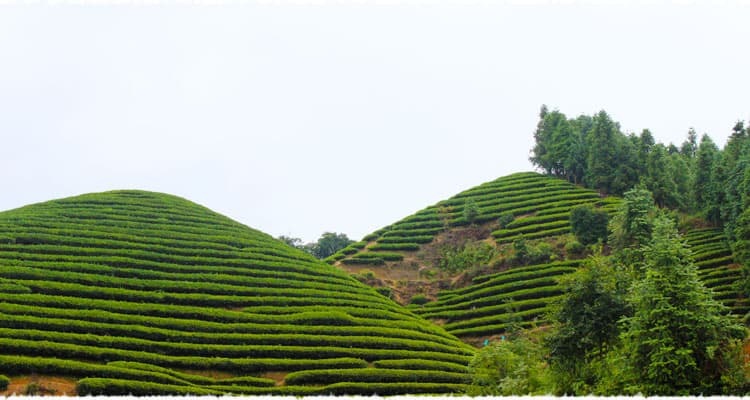 As a type of high-aroma tea, it belongs to the well-known Wuyi “rock tea” family. 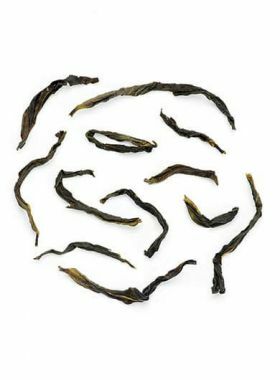 This Rou Gui oolong from TeaVivre strongly holds the baked aroma and flavor on both the dry leaves and the tea liquid; from the first steep, the aroma fills our nose, and when sipping the tea, the namesake cinnamon aroma comes first, to be followed by a strong floral, fruity note. The taste and aroma blend perfectly together, creating a sweet and fragrant yet thick tea, with a smooth, sweet aftertaste. When drinking it you will find that this Rou Gui has a spicy aroma to it; this is what we call its cinnamon aroma, the characteristic of the tea and the most essential characteristic. Even after swallowing this aroma lingers in your mouth. Lan Gang Ya tea garden sits high in the Wuyi Mountains at about 1000m above sea level, blanketed by thick mist throughout all four seasons. Covering more than 164 acres, this garden features three predominant characters to ensure the quality of produced tea: no chemical pesticides or fertilizers are used; the natural aroma from the surrounding pine forests allows the leaves grown to develop a pleasant, natural fruit aroma; and the high elevation and good ecological environment ensure that the old tea tree branches are covered with thick moss. 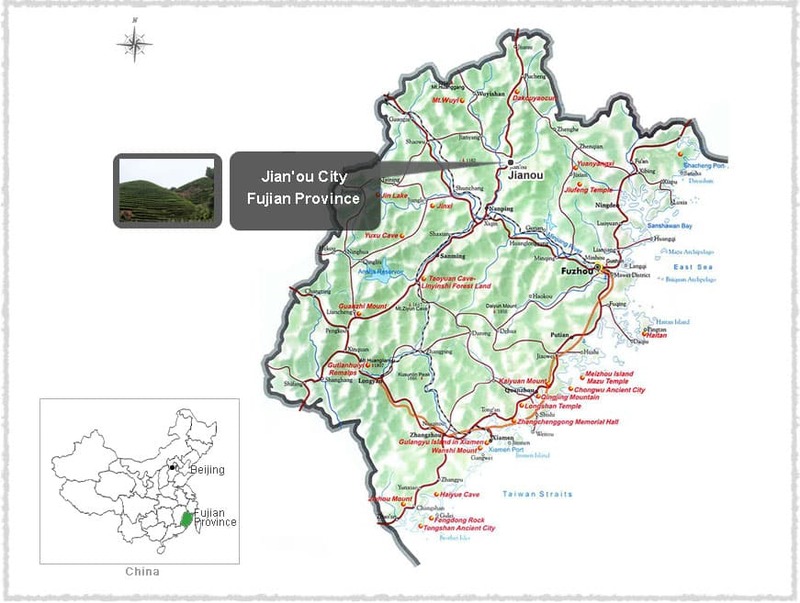 Located in the southeasterm portion of Wuyi Mountain, Jianou City is a major production area of oolong tea in Fujian. The annual average temperature here is about 18.5℃, the precipitation is around 2000mm, and the relative humidity sits around 80%. 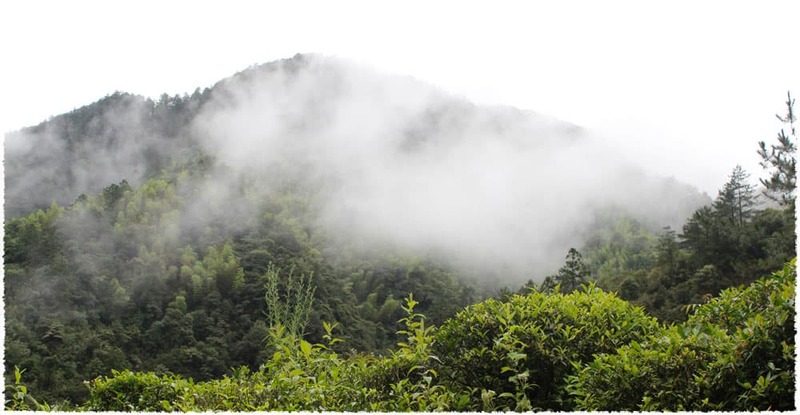 The mist-coated mountains and thick forests in the air together form a natural barrier protecting tea gardens from hot summer sun and cold winter winds. All of these conditions are conducive to the healthy growth of the tea, and to accelerate the accumulation of important aromatic compounds and nutrients in the leaves. Rou Gui gets its name from its characteristic cinnamon flavor, prominent on both the leaves and the tea liquid itself. 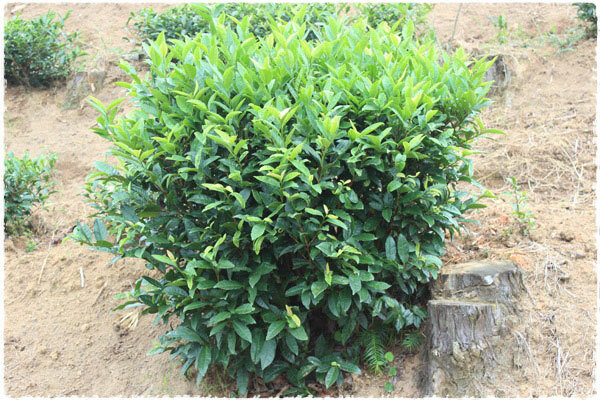 It is originally a native subspecies of Wuyi tea tree, which later become the prime variety used for producing Wuyi rock tea. It propagates through asexual reproduction, largely generalized in the are during the last century, and this variety generally begins sprouting in April and is ready for picking by May. Wuyi Rou Gui is known as Yu Gui with a long history of nearly 200 years, first recorded during the Qing dynasty. 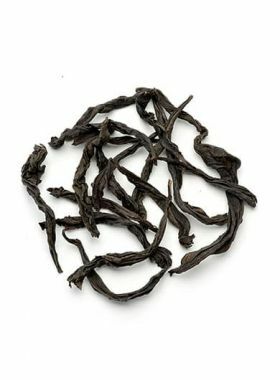 Other than its special yen flavor unique to Wuyi rock teas, Rou Gui has established wide recognition and acclaim for its long-lasting aroma, and has also earned gold medals in several premium national tea competitions as a representative variety of Wuyi rock tea.